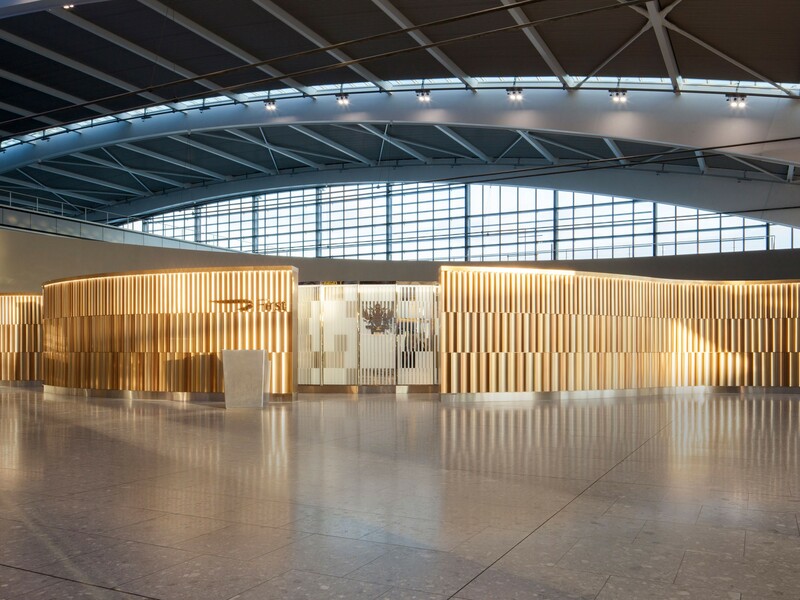 Universal Design Studio has designed the new private check-in for First Class and Gold Card members at Heathrow Terminal 5. The First Wing enables the airline’s most valued customers to get from land-side concourse to lounge in less than five minutes via an exclusive check-in area, security channel and lounge entrance. 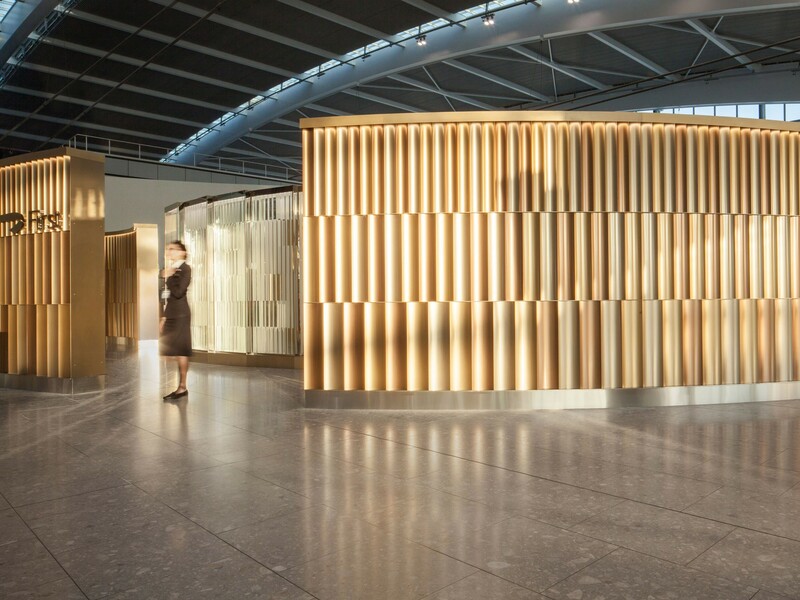 With the aim of bringing a greater sense of visibility, desirability and aspiration to the First Class check-in experience Universal have created a 29-metre long by three-metre high faceted and curved wall; constructed from hundreds of individual fluted panels in varying sizes and tones the wall encloses The First Wing. 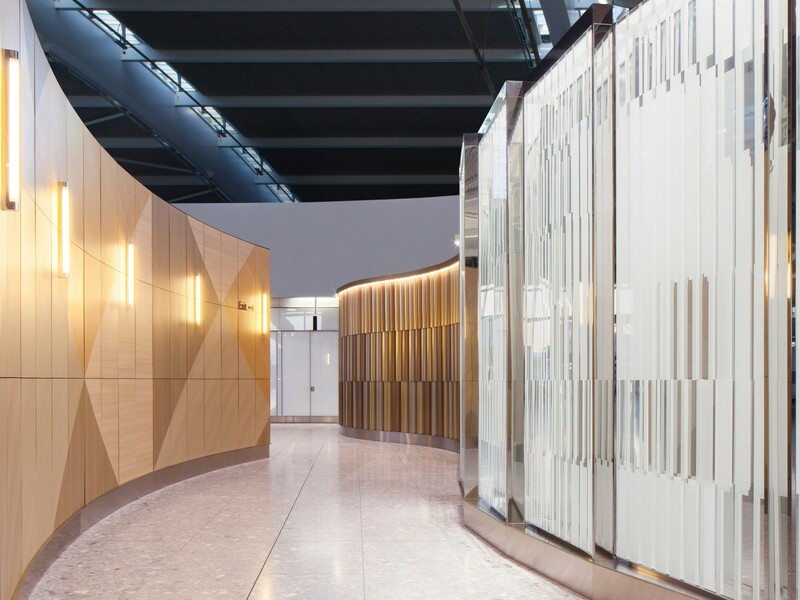 An articulated glass and mirror screen sits behind the metallic outer wall, forming two entrances for Gold and First Class customers. 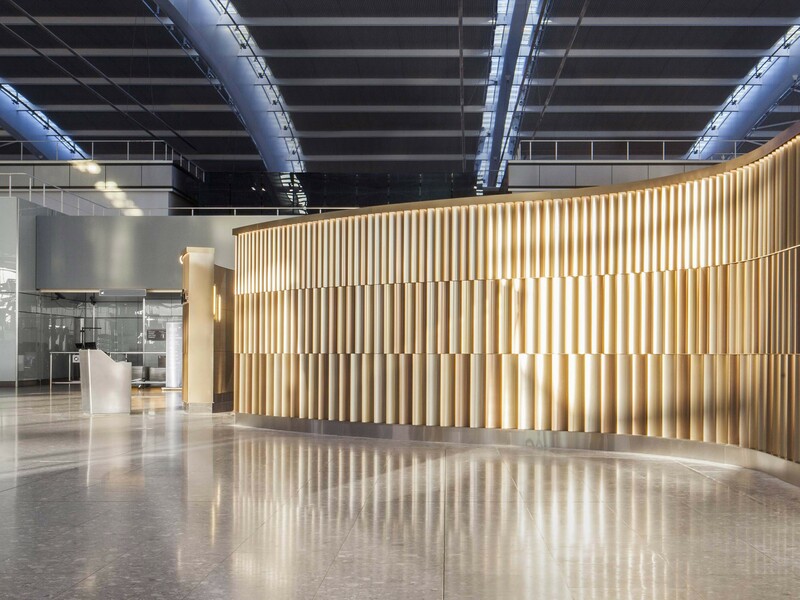 The interior surfaces of the enclosure are lined with oak marquetry showing an archival British Airways pattern based upon the original British Airways Speedbird marque. 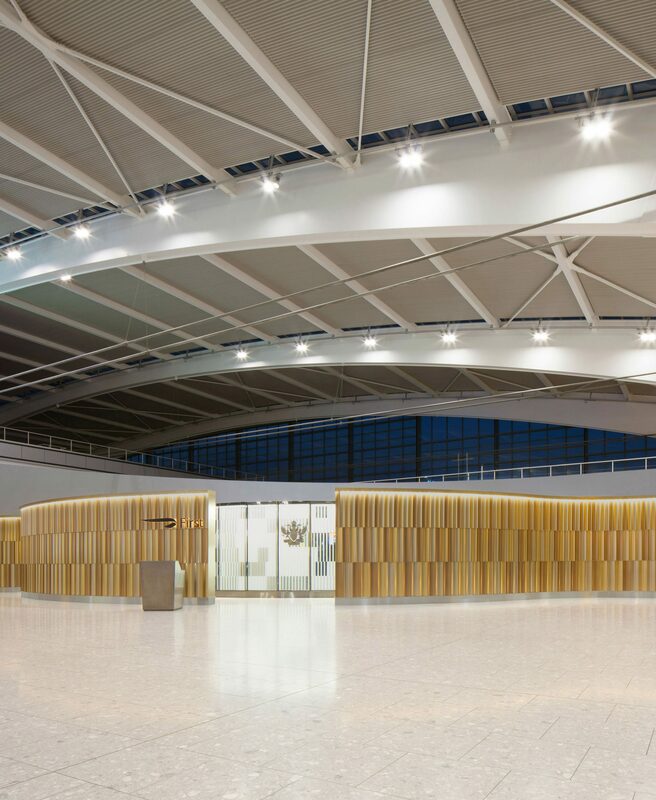 The desire to bring warmth, texture and contrast to the highly functional airport terminal has been achieved by the undulating facetted forms of the enclosure which transform visually throughout the day as the natural light rises and wanes. 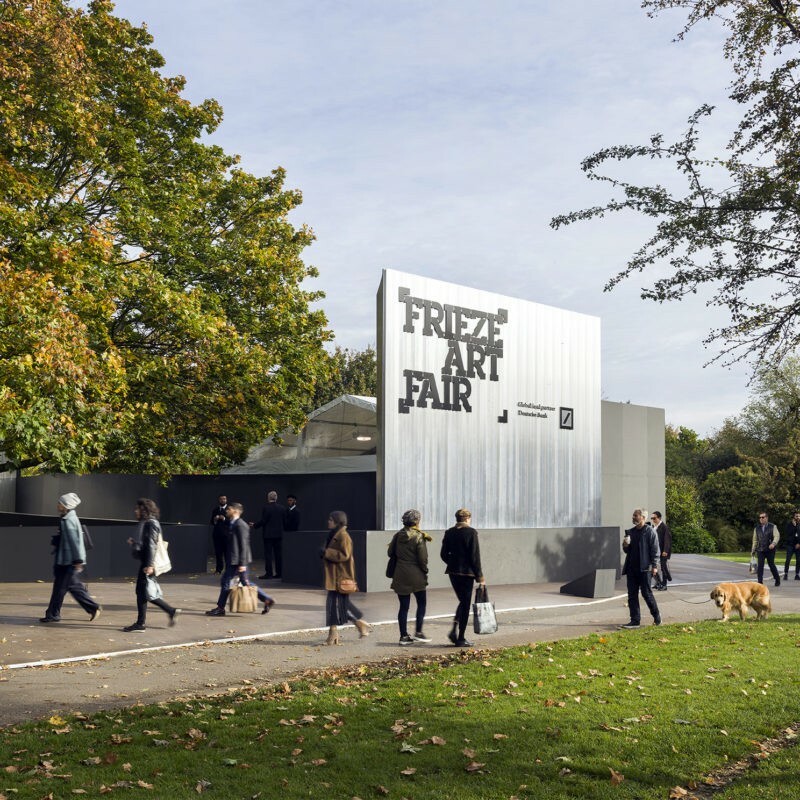 With a focus on speed, efficiency and automation, seated staff and desks have been replaced with sleek highly polished stainless steel podiums enabling staff to walk the zone freely. 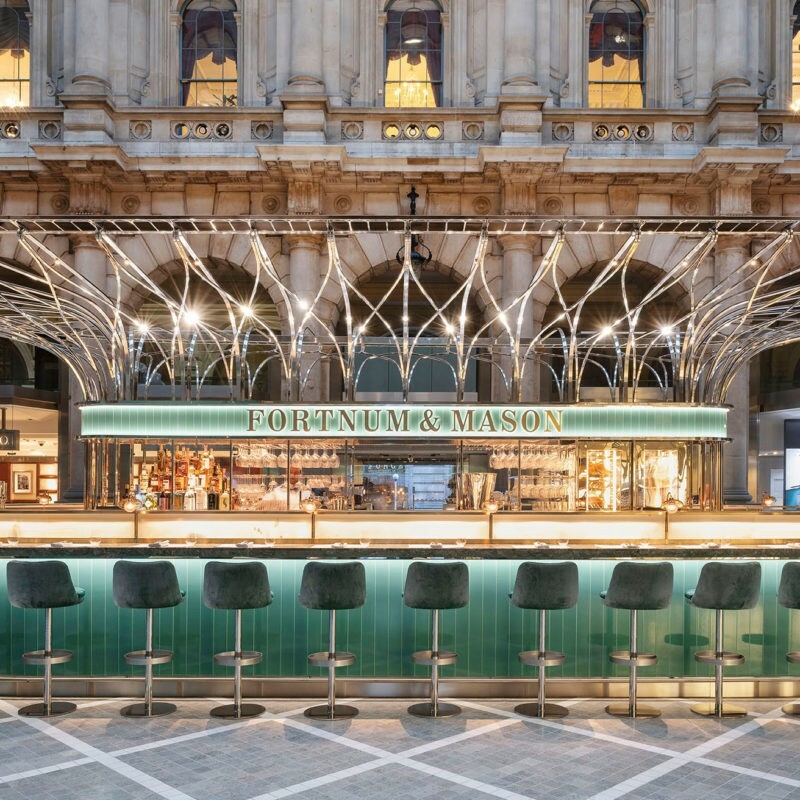 This is the first of a number of current collaborations between Universal Design Studio and British Airways to be realised.